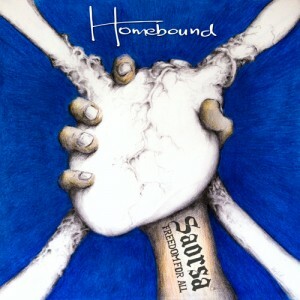 Homebound, a 7-piece world fusion band, have released a new single: Saorsa, Freedom For All. Check out the track by clicking the cover artwork. It’s been a busy six months… In May I was over in Rio for an amazing harp festival which included an hour long television recording which will air on national Brazilian tv in November. The city itself was so beautiful. I played in the CCBB in the centre of Rio and also in a neon green palace, Ilha Fiscal, which was the site of the last Brazilian Imperial ball. In June, the North Atlantic Trio did a small tour in Holland, and then on to western Canada in July. We played the Vancouver Island Folk Festival and Harrison Folk Festival among other concerts. Inbetween, I had a week mixing and mastering the new album with fiddler Tory Dugan in New York, and a week teaching at one of my favourite summer music camps, Common Ground on the Hill in Westminster Maryland. In August, I headed over to Germany to do my first year teaching at a great Irish music camp deep in the forest.